Republicans have turned on Donald Trump, as they now believe that Mohammed bin Salman did orchestrate the murder of journalist Jamal Khashoggi. Whether it changes anything, is harder to figure. The very public and very awkward death of Jamal Khashoggi has increased in magnitude, as noted Republican senators in concert with the CIA believe that Saudi crown prince Mohammad bin Salman is guilty of the murder of the fêted journalist. It matters, because of who is saying what. Lindsey Graham, the South Carolina senator (who has been a loyal supporter of Donald Trump), told the media that there is no “smoking gun,” in the case, but a “smoking saw,” a reference to the bone saw that was seen firmly in the grasp of the medical professional who did the grim work in the Embassy. Lazy hyperbole aside, it’s a particularly interesting pickle, as the only people who are presuming the innocent of the Prince, colloquially known as ‘MBS’ happen to be Donald Trump and his Secretary of State, Mike Pompeo. Back on November 20, Donald notably stood alongside the Saudis, calling Khashoggi an “enemy of the state”, and that he’d “love” if MBS wasn’t implicated in the murder of the US citizen. 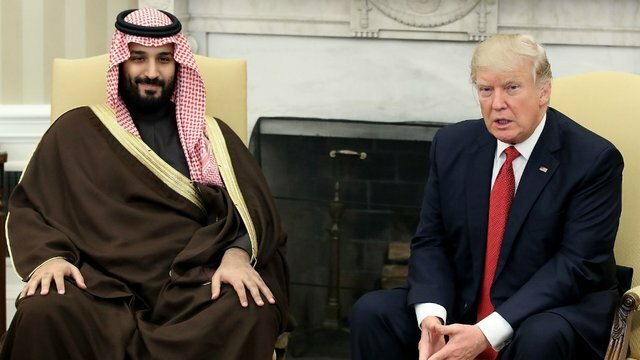 Donald also stressed the importance of keeping US-Saudi ties strong, particularly considering the arms deals in place between the two nations.